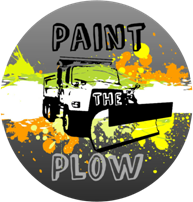 (UNDATED) - The Indiana Department of Transportation reminds middle and high schools teachers across the state that the application deadline for the 2019 Paint the Plow campaign is March 15. All schools interested in taking part in the program are encouraged to get their applications in before the deadline. In addition to being seen in full service during the winter weather months, the blades may be used at events within the school's community to enhance public awareness, promote safety and foster a greater appreciation of both INDOT and the school's art program. Only students who are currently enrolled in the applicant school may participate in the creation, execution, and completion of the art project.